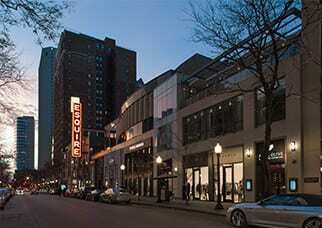 Wishing to expand on the success of the Esquire Theatre Retail Redevelopment, our clients purchased the site next door to that property to continue the development of high-end retail and dining on Chicago’s famed Oak Street. 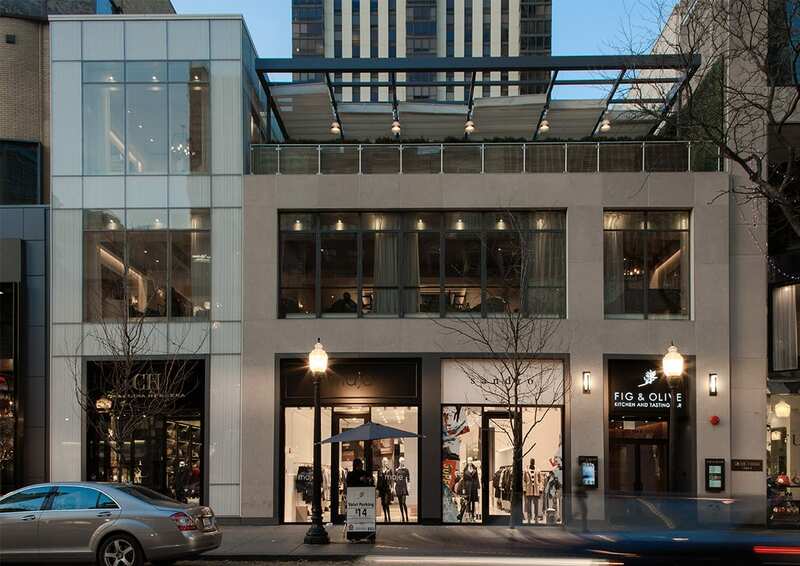 To provide streetscape improvements and continuity, we scaled this project much like the well-received Esquire Redevelopment. A second floor setback allows for outdoor dining, creating a dining and entertainment destination. A light material palette allows the products of the high-end retailers that occupy this space to stand out. 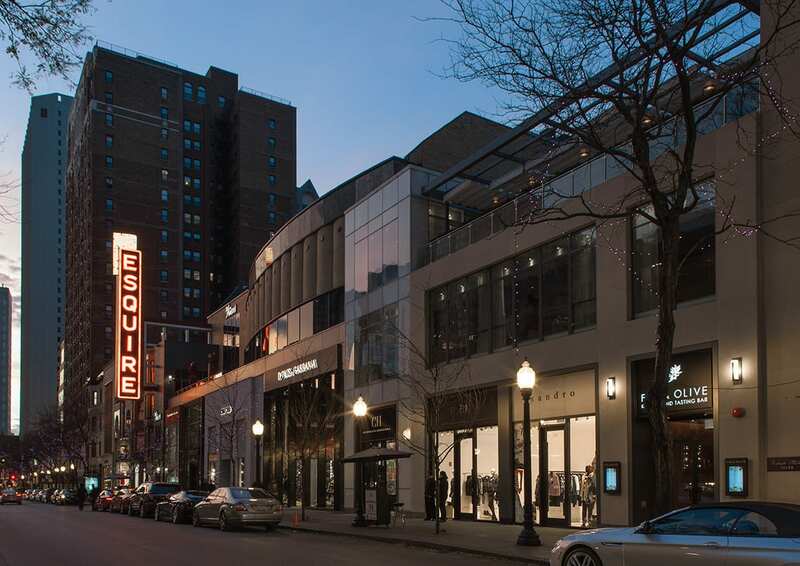 In conjunction with the Esquire Redevelopment, this project helps to solidify Oak Street as a high-end boutique shopping destination in Chicago. We worked closely with each tenant to build out the space according to their specific needs.